The word ‘disconnect’ was thrown around last season without hesitation. Some of the claims of a disconnect between players and the coach may be unfounded, but maybe not. There is some merit to the word, though, in light of all the bizarreness that plagued the Sabres last season. 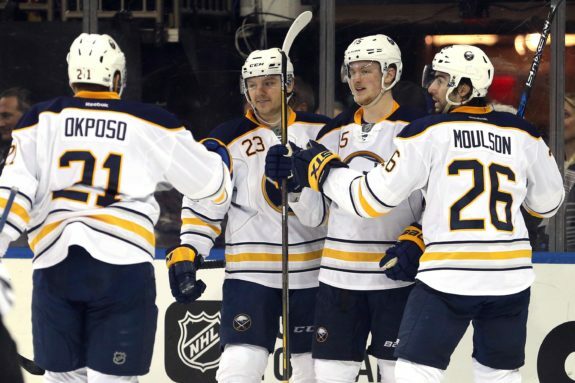 Expectations were justifiably high going into last season because of one statistic: the 2015-16 Sabres finished the second half of their season around a 90-point pace. Light at the end of the tunnel, right? Former head coach Dan Bylsma even made a bold prediction that his team would finish the next season with 95 points, competing for a playoff spot. Was that so bold of a prediction, though? The 2016-17 Sabres somehow managed to finish with three fewer points than a season prior, mustering only 78. How, though? How does a team with a 27-point improvement take a step back? One quick assumption would be roster turnover. Who did the Sabres lose in the summer, if anyone? The differences between the two teams are nominal. The 2015-16 team did feature some quality players that didn’t return. Remember Jamie McGinn, David Legwand, or analytics darling Mark Pysyk? Formidable players certainly, but not the impact players that form the core of the team. 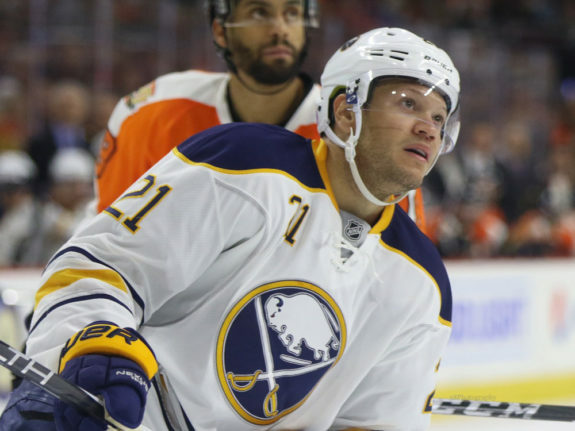 Speaking of core, the Sabres went out and picked up arguably the best free agent available in Kyle Okposo. Okposo is, of course, a dynamic and difference-making player. His offensive numbers over the past few seasons prove this. Along with his devout leadership, any reasonable fan or ‘expert’ could agree that, yes, this could be a piece to jettison the Sabres at least close to the playoffs. The player acquired for Pysyk was none other than injury-laden Dmitry Kulikov. Of course, he had no injury problems prior to his time with the Sabres. Weird, right? So weird, that his injury bug started before the season even began! Kulikov sustained a relentlessly nagging injury all because of an open bench door during a preseason game – a ‘disconnect,’ if you will. By now everyone knows how pathetic the Sabres defense was last season. The team defense remains a huge culprit for a subpar season, but I’m referring to the six guys who aren’t playing the forward positions. There’s really no need to go neck-deep in analytics and obscure stats to prove how bad they were. Along with the eye test, one stat will suffice: shots against. The Sabres gave up the most shots on goal last season with an average of 34.3—a number that should be reserved for a team like the last-place Colorado Avalanche, or even an expansion team like the Vegas Golden Knights. But a team projected with vast improvement and a playoff push? Again, weird. Most fans knew what to expect from their Sabres defensemen, for the most part at least. Rasmus Ristolainen is pegged as a number-one defenseman, a rising star who can eat up big minutes and play well on both sides of the puck. Josh Gorges is pure leadership, grit, and a ton of penalties. Jake McCabe is another young player who made tremendous strides and signed a three-year deal with the Sabres that looks better by the day. Franson is a logical target for Buffalo because he brings elements that the team currently lacks on its blue line. With 400 NHL games under his belt, he’d bring some much-needed experience, including experience playing tough minutes at even strength. At 6’5″ and 213 pounds, he’d also be one of the team’s bigger rearguards. Where he might help most is on the power play. The Sabres finished 30th in the NHL on the man advantage last season, and Franson has had some big seasons as a power-play point man. Despite a post-trade-deadline slump, he was one of the NHL’s 10 best defensemen in terms of points per hour last year. He’s one of just 10 defensemen to play at least 500 minutes and score more than 4.5 points per hour on the power play over the last five seasons. Sad to say, the Sabres never saw this Cody Franson, at least not enough. Bylsma’s player usage may be to blame here, but regardless, he only put up two points on the power play last season. Disconnect indeed. 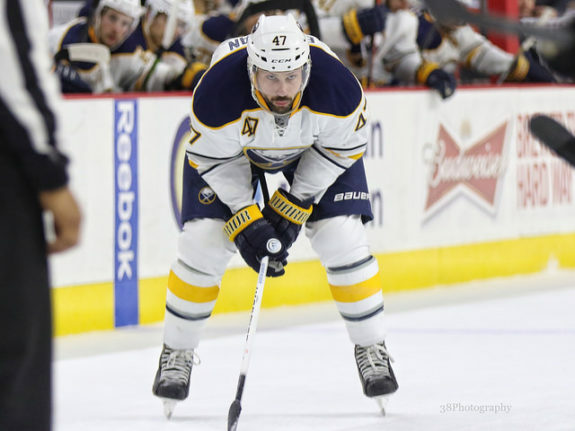 Zach Bogosian is another perplexing Sabres defenseman. The guy is a workout fiend, an intimidating physical presence, and skates as well as any defenseman in the league. His debut with the Sabres left an impression on me; I remember him being visibly engaged all over the ice and making devastating hits, which the Sabres didn’t do enough of at the time. Again, we haven’t seen the “complete package” of Bogosian. 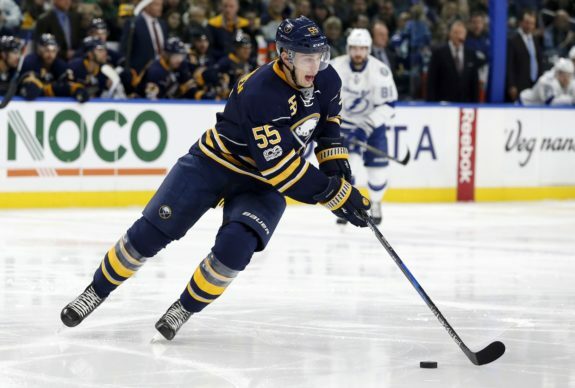 With a cap hit of around $5 million, the Sabres desperately need more from him moving forward. The disparities between the projections of players like Franson and Bogosian and how they actually performed left many fans frustrated and confused. No doubt Tim Murray and Dan Bylsma share that same sentiment. One positive quirk from last season was the fact that the Sabres owned the number-one power play in the league. For a team that struggled mightily scoring goals five-on-five, the Sabres relied heavily on their power play to keep games competitive. It’s quite astonishing that a team that finished 15th in the Eastern Conference somehow managed to dominate a stat that’s usually owned by teams at the top of the standings. Just to put it in perspective, the Sabres’ power=play percentage of 24.5 was better than the Pittsburgh Penguins’ (Stanley Cup champion) and Washington Capitals’ (Presidents’ Trophy winner), who were tied with a percentage of 23.1. It’s obviously encouraging that the Sabres owned the best power play in the league. What’s disheartening though is their 28th-place finish for goals five-on-five, with 126. How is this disconnect possible? What’s even more amusing is the fact that the Sabres scored the same amount of goals two years in a row—199. With the addition of Okposo, another year under the belts of Eichel and Sam Reinhart, and a legitimate case for high expectations, how on earth did the Sabres only manage to score the same amount of goals from a year prior? The perceived step back the Sabres took may not have even been a step back at all. They may have just revealed their true colors last season, exposing numerous underlying flaws within the organization. Many want to point the finger at coaching and management or the players themselves, and this can certainly be justified. I take a very different perspective, though. It doesn’t matter who the coach or general manager was last season; whoever it was at the helm was doomed from the get-go. The ‘tank’ seasons really left an impact on this team that’s difficult to comprehend. Deliberately wanting and cheering for your team to lose will foment odd and bizarre consequences, as shown by last season. While Murray and Bylsma were doomed placeholders, it appears that Jason Botterill and Phil Housley have a plan to right the ship. Next season can’t get any stranger, right?